Mobile World Congress (MWC) 2017, one of the world's largest technology exhibitions, will be held in less than two weeks away. 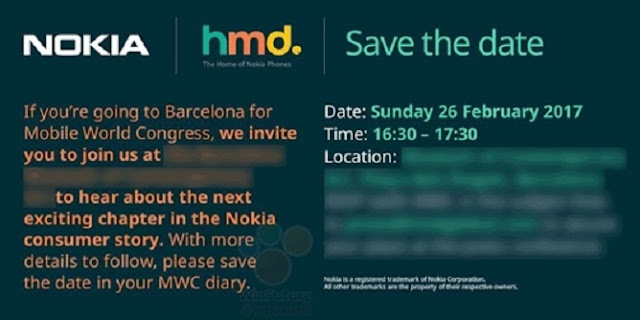 Like other big brands, Nokia (and also Global HMD) certainly will participate in the event. 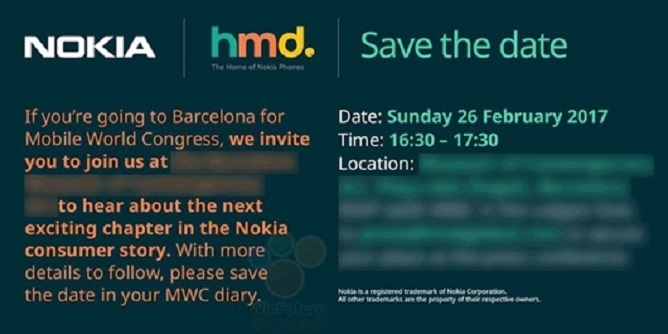 After have been released of the Nokia 6 specifically for China, what will be introduced by Global HMD at MWC 2017? Evan Blass, owner of a Twitter account @evleaks, early Sunday to preach if Global HMD is expected to release at least four new mobile phones. This information he had got from someone who has been given a brief by the company. Four of these phones are Nokia 6 global variant, Nokia 3, 5, and most unexpectedly, a Nokia 3310. Yes, the Nokia 3310. The famous mobile phones hold by all sorts of pressure and this disaster is rumored to be re-released as a form of homage--a pretty good way to increase the return to the popularity of Nokia phones. The phone was later dedicated as a backup phone, or for older Nokia fans who want to buy this phone again to simply collect. There has been no info whether Nokia 3310 released later has exactly the same specifications with the old version, or with a bit of refreshment such as screen colors, larger capacity battery or other. This mobile phone is expected to be priced 59 Euros or around Rp 835,000. In addition to the Nokia 3310, there are the Nokia 3 and 5. Each is an Android mobile phone middle class down, with the specifications under the Nokia 6. Nokia 5 still uses the same chipset with Nokia 6 (Snapdragon 430), but its screen resolution size and dimension, namely 5 "720 p, with 2 GB RAM and 12 megapixel main camera. With Android 7.0 Nougat, Nokia 3 and Nokia 5 will be sold at a price of 199 Euros respectively & 149 Euros, or approximately 2.9 million & 2.1 millions of rupiah. Nokia 6 itself will sell for 249 Euros or about 3.5 millions of rupiah.